"Can I trust you?" "Put me on a plane and I'll give you everything." STX has released one final, kinetic trailer for Mile 22, the latest action collaboration between director Peter Berg and Mark Wahlberg (who have made Lone Survivor, Deepwater Horizon, Patriots Day together). This trailer also features the unreleased track from Migos "Is you ready?" Wahlberg plays a top secret, high level CIA agent in their "least understood unit", tasked with finding and transporting an asset to "Mile 22" for extraction. The title refers to the place where the person can be safely extracted, and Wahlberg's characters encounters "some very evil people" along the way. This was filmed in Colombia and seems to take place somewhere in South America. Also starring John Malkovich, Ronda Rousey, Iko Uwais, Terry Kinney, Sala Baker, Alexandra Vino, Poorna Jagannathan, and Lauren Cohan. This movie might just be worth seeing this summer. You can still watch the first trailer for Peter Berg's Mile 22 here, or the second red band trailer here. In a visceral modern thriller from Peter Berg, Mark Wahlberg stars as James Silva, an operative of the CIA's most highly-prized and least understood unit. Aided by a top-secret tactical command team, Silva must retrieve and transport an asset who holds life-threatening information to Mile 22 for extraction before the enemy closes in. 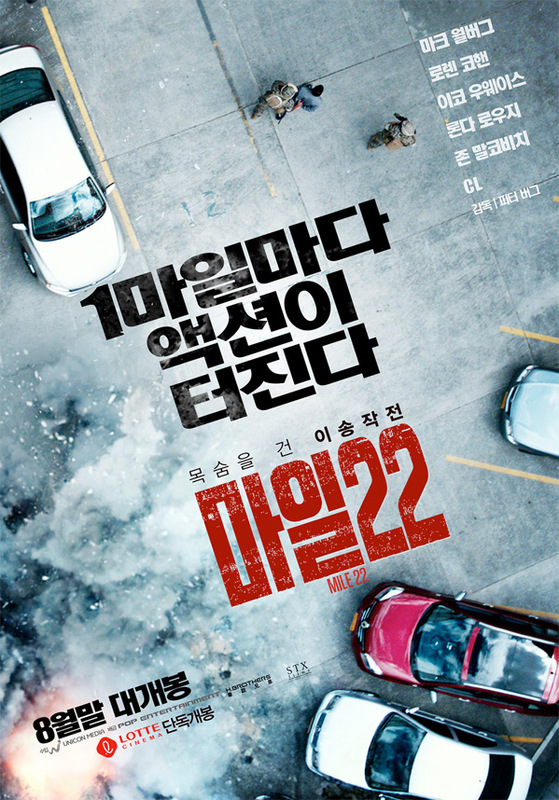 Mile 22 is directed by American filmmaker Peter Berg, of the movies The Rundown, Friday Night Lights, The Kingdom, Hancock, Battleship, Lone Survivor, Deepwater Horizon, and Patriots Day previously. The screenplay is written by Lea Carpenter and Graham Roland. STX Ent. will release Berg's Mile 22 in theaters everywhere starting on August 17th this summer. Who's down for this?